The last few weeks have been filled with dashes out of the house - sometimes just into the garden - to try lenses and to finally do some shooting after the endless winter. 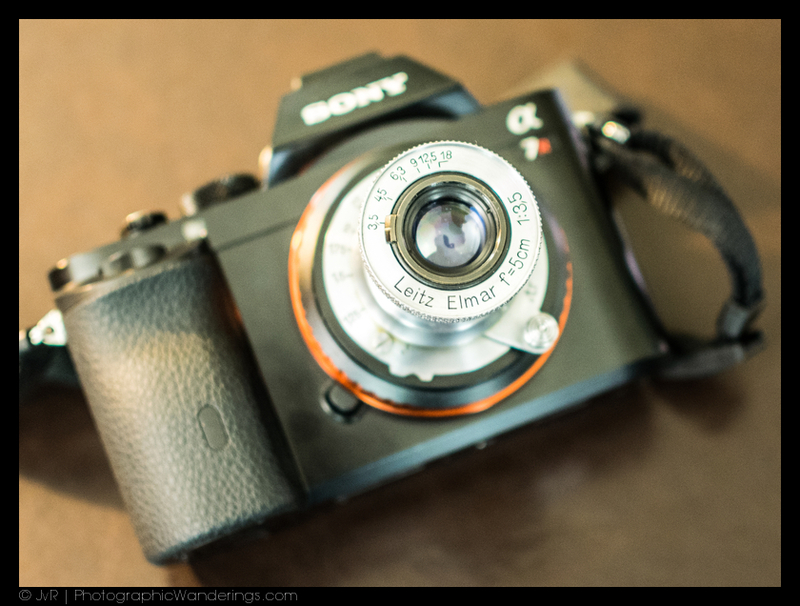 I'll report on those lenses in a bit, but first I want to wrap up my long story of love and hate with the Sony A7r. I've written about that camera a few times before (here, here and here), without ever reaching a final conclusion. Final, as in: I'm going to keep it or sell it. As is my habit, I'll make a longer story short: I'll keep the camera for now, while I eagerly await a camera with a similar sensor and size that's actually fun to use, whatever the brand. The moment the first rumors emerge of a valid competitor to this camera, up for sale it will be. Now, if I sound so down on the thing, why do I still keep it? Because I find myself using it and because I do like being able to use old glass again. Here are some key experiences. I got a Zeiss Otus 55mm f/1.4 on loan from Zeiss. It was a Canon mount. I did use it on my Canon 5D Mark III, but I was happier using it on the Sony. Manual focus was easier and more precise. The usual slowness of the Sony compared to the Canon didn't come into play, because the lens didn't have autofocus anyway. It also just felt that a lens that superb should be put on the camera with the best sensor, hence it went more on the Sony than on the Canon. At the same time, whenever a situation didn't require speed and might lead to a print-worthy shot, I picked the Sony over the Canon and mounted my better Canon lenses on the A7r. Yes, everything gets slower and autofocus can be a pain, but in those situations manual focus often worked fine. Mind you, I still prefer shooting with the Canon and I dearly missed having the time to shoot with the Olympus E-M1, but rationally speaking the Sony often just made more sense. Meanwhile, whenever I had to shoot something that moved, even as slowly as the crowd in the local Memorial Day parade, the Sony stayed home. It would have driven me crazy, compared to my other cameras. A final reason why I'll keep the Sony is the joy of using older lenses. I picked up the Contax G 90mm lens that I loved when I still used Contax G film cameras. I found an Olympus 24mm f/2.8 from the original OM days, a lens that I haven't used much yet, but that seems to perform nicely on the Sony. I can put - almost - all my Canon glass on it. After I sold all my Nikon gear, I kept the 14mm Rokinon for Nikon and now use it on the Sony. The possibilities are endless. They're so endless that I intend to have only one native Sony lens, the FE 55mm f/1.8. I don't see a reason to have more, since I can cover the other focal lengths with nice glass at lower cost than building the Sony collection, which seems relatively mediocre considering the prices (with the exception of that 55mm and the 35mm f/2.8). So, that's it. You will never hear me gush over this Sony, other than over the quality of the sensor. Put that sensor in a more capable camera and you got me: I'll gush. I'm waiting.